We have capability to undertake crankshaft repair, crankshaft grinding, grinding of main journal and crank pin grinding on board the vessel while it is sailing. After continuous running of engine, crankshaft repair is required. RA Power Solutions undertakes crankshaft repair onsite up to 700 mm diameter. Crankshaft repair including removal of taper, ovality, straightening, etc. is undertaken. Crankshaft repair is done onsite without removing it from engine block. The quality control is an operation as much heavy as many are the Phases necessary for its execution. For this reason, carrying out all Measurements with a single tool means saving time, manpower and Improving the accuracy of control. Crankshaft Repairs are undertaken as manufacturers’ specifications. We use orbital crankshaft grinding machine which is portable and can be taken on site for grinding of crankshaft. The main feature of our onsite crankshaft grinding machine is that with the same on site grinding equipment we can undertake grinding of crankshaft and polishing of crankshaft. The polishing of crankshaft is done to remove the bearing line marks. We also have ready stock of standard and under size bearings available of Wartsila, Caterpillar, Mirrlees Blackstone, Daihatsu, and all make of engines. 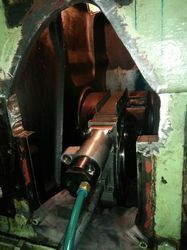 Crankshaft grinding up to the diameter of 700 mm is done without removing the crankshaft from engine block. 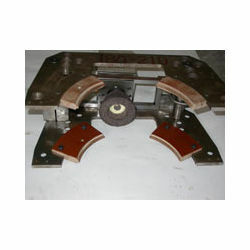 There is no need of sending crankshaft to the workshop for grinding purpose which is ourdated. 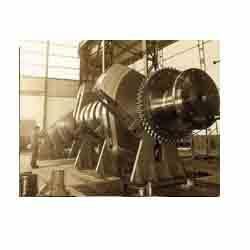 Crankshaft grinding and crankshaft polishing is done by experienced engineers. RA Power Solutions Pvt. Ltd. having four decades of experience in engine repair. 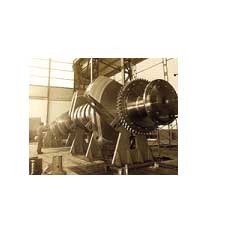 Our system holds expertise in Polishing of Crankshaft. The polishing of crankshaft is done to remove the bearing line marks. These services are executed at any time for off-shore and land base sea going vessel that are developed throughout the world. We have a team of supervisors, technicians, who are well versed with the technological developments in the respective domain. Our technicians and engineers have vast knowledge of various engine makes and their design features. We are equipped with portable grinding or machining tools inventory, which helps us carry out these services for different engines. We use hi-tech equipment and latest mechanisms controlled by pneumatic compressed air, which helps us in offering these services within the minimum time frame. 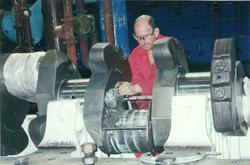 We undertake rebuilding of crankshaft, cylindrical shafts etc. which are ideal for correcting manufacturing errors, to repair an obsolete part or excessively worn out part. We pay utmost attention to details like cleaning, surface preparation, spraying and finishing. 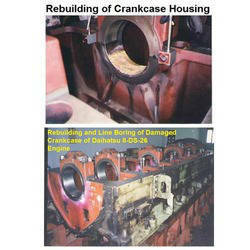 Our crankshaft rebuilding services ensure that replacement cost is reduced and savings of 50% - 90% is there. On site Rebuilding of Crankcase is offered by us. On site Rebuilding of Main Journal Housing by Metal Spray and On site line boring of Main Journal Housing to maintain the Alignment. We have specialization in rebuilding and repairing the crank shafts, cylindrical shaft, castings and mechanical components, which are damaged and worn out beyond the last permissible limit. 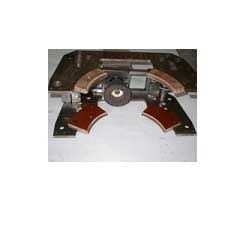 We are renowned for repairing manufacturing errors, to repair an obsolete part or a part that has worn excessively. The reclamation of crankshaft (and many other components) can produce considerable saving over the replacement cost, wherein saving of 50% is common and in case of large components, as much as 90% can be saved. Our trained engineers work on site and in the factory to provide highest quality of rebuilding techniques. This helps us to achieve high specification irrespective of all types of components with the assistance of latest equipment. Depending on the local cost of labour, the cost of repairing of the crankshaft will vary. 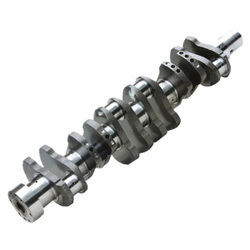 But having repaired so many crankshafts our experience shows that replacement cost of components is very economical. We manufacture and supply onsite crankshaft grinding machine to undertake insitu grinding of crankshaft, alternator shaft, turbine shaft, etc. 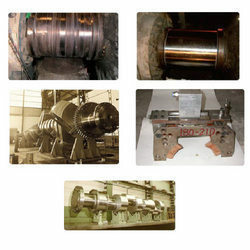 The insitu crankshaft grinding is undertaken by our experienced technicians all over the world. 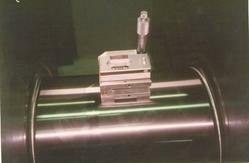 In process of onsite crankshaft grinding we can maintain the CR and maintain journal sizes within twenty microns. The crankshaft grinding machine is light weight, easy to operate and low on price. In-situ crank shaft grinding is the latest process of grinding and polishing of crankshaft, CR pin and main journal without removing crankshaft from the engine block. The in-situ crankshaft grinding and in-situ repair of crankshaft saves time as it does not require removal of crankshaft from the engine block. 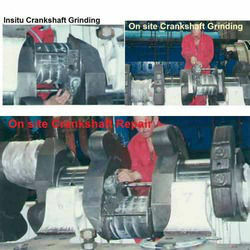 RA Power Solutions has the facility to undertake crankshaft repair up to the diameter of 700 mm. Ours is the only company which can do on site crankshaft grinding and on site crankshaft polishing while vessel is sailing having four decades of experience in crankshaft repair.